January is the time of new beginnings. For many homeowners, that means decluttering to free up more space for the things that matter. While this is a common new year’s resolution, it’s taken on new life in 2019 thanks to books and television shows that encourage a simpler, more organized way of living. 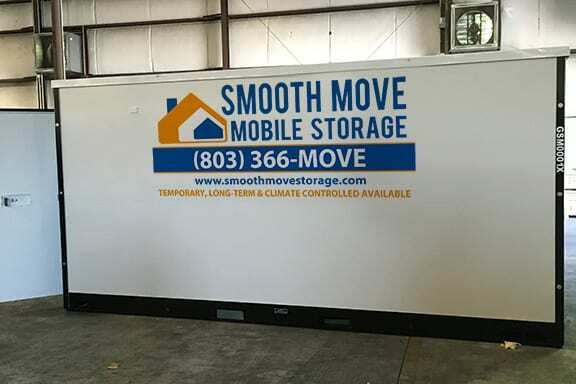 If you’re cleaning out your spaces but aren’t quite ready to part with your clothes, furniture, and books, consider renting a portable storage container from Smooth Move. Why store instead of throwing things away? It’s true that the experts want you to toss the things you no longer want or need. But this process can be time-consuming, especially for collectibles, books, music, and furniture. What if you want the opportunity to share these items with someone in your life who’d appreciate them? In this case, a portable storage container is a great solution. You’ll have time to go through everything and make decisions you feel good about. At the same time, you’ll get to enjoy the benefits of a home that’s cleaned out and organized. What should you do to get started? Start by going around your home to see what you might like to get rid of. Then call the portable storage experts at Smooth Move. We’ll take your information and give you an estimated price for your storage container. We’ll also tell you about all the options, from packing it yourself to letting us pack it up for you. You’ll be amazed at the difference these changes will make!